Lost Apple TV Remote - What Now? That's probably not how you lost your remote, but you get the gist. I mean I can find my iPhone with the find my phone app, but Apple TV remote, on the other hand, is just an expensive paperweight with no speakers if you ask me. If lady luck gives you a kick in the nuts and you lose your remote, here are all the possible things you can do to replace it or find an alternative. Just a heads-up though, some of the methods will use your Apple TV remote once for setup, which kind of defeats the purpose as you probably have lost it already. So those methods could be used as a proactive measure to avoid losing it, which, let’s be honest, we all do from time to time. If you have an Apple TV, chances are, you also have an iPhone or an iPad. The good news is, you can fully control your Apple TV with your iOS devices. You don’t even have to download a third-party app. Just make sure your iPhone or iPad Wi-Fi is ON, then swipe up from the bottom to bring up control center, and then tap on Apple TV icon. Select your Apple TV from the list. A 4-digit code will pop up in your TV, punch that into your iPhone and voila. You are now connected. 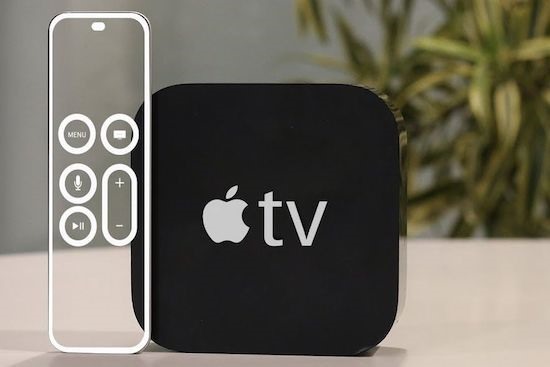 You get full control of your smartphone, just as you get with your remote, the only thing missing will be motion control on the games, but you can easily fix that by downloading the app for Apple TV called TV remote app from the iOS store. We’ll have all the important links in the description of the video. The next thing you can try is using your Apple Watch to control your Apple TV (of course, if you have an Apple Watch that is). Now any method from here will require you to have a working Apple TV remote to set it up. So, if you lost your Apple TV remote already, either borrow an Apple TV remote from your friend or use the iPhone app to set it up. So, to control your Apple TV with your Apple Watch, just make sure that your Apple TV and your Apple Watch are on the same Wi-Fi network. On your Apple Watch, open the Remote app, then tap Add Device. On your Apple TV, Go to Settings > Remotes and Devices > Remote app, then select your Apple Watch. Next, on your Apple TV, enter the 4-digit passcode that appears on your Apple Watch. When the pairing icon appears next to your Apple Watch, you can start controlling your Apple TV. Just like the iPhone remote, you can pretty much control anything on your Apple TV. But there are few downsides, for instance, there is no volume or Siri control but what did bother us, though, is that Apple Watch is using the iPhone as a bridge to control Apple TV. So, if I turn off the Wi-Fi on iPhone, or if I don’t have the iPhone, it wouldn't work. Just in case you don’t have an iPhone device, or would like to pair your Apple TV with another Android device in your house, well, you can also control your Apple TV with your Android. Out of many Android apps tested, Cider TV for Apple TV is the only app that works for us. There is one issue though since the app works on Bluetooth to set it up for the first time, you’ll have to Settings > Remotes and Devices > Remote App and Devices and then set it up from there. Enter the 6-digit passcode as shown on your Apple TV and enter that on your Cider TV app. There you go. The good thing is, it works for all generations of Apple TV, but on the flip side, it provides very limited control. There is no key at all, only a touchpad, meaning you can only navigate, pause and play video, but you can't go back, change volume, no Siri controls, no motion control. But at least, you get something that works for Android. So, there is that. One of the best things about Apple TV is that it also supports any 3rd party remote. So, if you have an old TV or DVD remote, that you are not using, (or you can buy a cheap remote from Amazon), you can make it work with your Apple TV. Of course, to set this up, you’ll need the original remote for once, or I suggest you use the Remote on your iPhone. To set this up for them, go to Settings > Remotes and Devices > Learn Remote > Start. Now, you need to map your remote keys to the new remote. You can control pretty much everything with this old remote, like you do with the Siri remote, except for Siri and motion controls, obviously. Finally, the last option is to use a Bluetooth keyboard. That’s right, you can use your Bluetooth keyboard as a remote with Apple TV. How awesome is that? We tested it with the wireless Apple's magic Keyboards and a few others, and they worked perfectly. To get started, turn on your keyboard and put it in discovery mode. Next, use the Apple TV Remote app (and if you have lost it, then use the remote app on your iPhone) to select “Settings > Remotes and Devices -> Bluetooth. Your Apple TV will then look for a compatible Bluetooth device. Once you see your keyboard on the screen, go ahead and select it. Enter a four-digit code, and there you go. The experience isn’t as rich as using a Siri remote, but hey, something is better is nothing. So, there you go; hopefully, I was able to save your $80 for the new Siri remote. If that’s the case, why not check out Smart DNS Proxy. For $5 a month, you can unblock geo-restricted content on sites like Netflix, Hulu, Pandora, Amazon Prime videos, and hundreds of another streaming service on your Apple TV. There is a 14-day free trial, with no credit card, so try it if you want. Thanks for reading and watching. If you like the video, give it a ‘like’ and subscribe to our YouTube channel. If you didn’t …. why are you here? Oops, just kidding. You can stay. We can’t tell you what to do. See you in the next one.